I’m now going to demonstrate how to use IBM Cloud Object Storage from IBM Cloud Functions. How to provision IBM Cloud Object Storage and create authentication tokens. How use client libraries to access IBM Cloud Object Storage from IBM Cloud Functions. Example serverless functions for common use-cases, e.g uploading files. Code examples in this blog post will focus on the Node.js runtime. Instructions on service provisioning and authentication credentials are relevant for any runtime. IBM Cloud Object Storage is available to all IBM Cloud users. IBM Cloud has three different account types: lite, pay-as-you-go or subscription. Lite accounts do not require a credit card to register and do not expire after a limited time period. Numerous platform services, including Cloud Object Storage, provide free resources for lite account users. IBM Cloud Object Storage’s free resource tier comes the following monthly limits. Store 25GB of new data. Issue 20,000 GET and 2,000 PUT requests. Use 10GB of public bandwidth. Lite tier usage supports all resiliency and storage class options but are limited to a single service instance. Users can sign up for a free “Lite” account here. Please follow the instructions to install the IBM Cloud CLI. Lite accounts can be upgraded to Pay-As-You-Go or Subscription accounts. Upgraded accounts still have access to the free tiers provided in Lite accounts. Users with Pay-As-You-Go or Subscriptions accounts can access services and tiers not included in the Lite account. IBM Cloud Object Storage can be provisioned through the IBM Cloud service catalog. From the Service Details page, follow these instructions to provision a new instance. Give the service an identifying name. Leave the resource group as ”default”. Once the service has been provisioned, it will be shown under the “Services” section of the IBM Cloud Dashboard. IBM Cloud Object Storage services are global services and not bound to individual regions. Click the service instance from the dashboard to visit the service management page. Service credentials for IBM Cloud Object Storage use IBM Cloud’s IAM service. I’m just going to cover the basics of using IAM with Cloud Object Storage. Explaining all the concepts and capabilities of the IAM service would need a separate (and lengthy) blog post! IBM Cloud Functions can automatically provision and bind service credentials to actions. This feature is supported through the IBM Cloud CLI command: bx wsk service bind. Bound service credentials are stored as default action parameters. Default parameters are automatically included as request parameters for each invocation. If you need to use different configuration options, you will have to manually provision service credentials. Select the ”Service Credentials” menu item from the service management page. Click the “New credential” button. Fill in the details for the new credentials. Choose an identifying name for the credentials. Select an access role. Access roles define which operations applications using these credentials can perform. Permissions for each role are listed in the documentation. Note: If you want to make objects publicly accessible make sure you use the manager permission. Leave the Service ID unselected. If you need HMAC service keys, which are necessary for generating presigned URLs, use the following inline configuration parameters before. Otherwise, leave this field blank. Once created, new service credentials will be shown in the credentials table. Cloud Object Storage exposes a HTTP API for interacting with buckets and files. This API implements the same interface as AWS S3 API. Service credentials created above are used to authenticate requests to the API endpoints. Full details on the API operations are available in the documentation. IBM Cloud Object Storage’s HTTP API is available through region-based endpoints. When creating new buckets to store files, the data resiliency for the bucket (and therefore the files within it) is based upon the endpoint used for the bucket create operation. IBM Cloud Functions is available in the following regions: US-South, United Kingdom and Germany. Accessing Cloud Object Storage using regional endpoints closest to the Cloud Functions application region will result in better application performance. IBM Cloud Object Storage lists public and private endpoints for each region (and resiliency) choice. IBM Cloud Functions only supports access using public endpoints. In the following examples, IBM Cloud Functions applications will be hosted in the US-South region. Using the US Regional endpoint for Cloud Object Storage will minimise network latency when using the service from IBM Cloud Functions. Rather than manually creating HTTP requests to interact with the Cloud Object Storage API, client libraries are available. IBM Cloud Object Storage publishes modified versions of the Node.js, Python and Java AWS S3 SDKs, enhanced with IBM Cloud specific features. Both the Node.js and Python COS libraries are pre-installed in the IBM Cloud Functions runtime environments for those languages. They can be used without bundling those dependencies in the deployment package. Hardcoding configuration values within source code is not recommended. IBM Cloud Functions allows default parameters to be bound to actions. Default parameters are automatically passed into action invocations within the event parameters. Default parameters are recommended for managing application secrets for IBM Cloud Functions applications. IBM Cloud Object Storage organises files into a flat hierarchy of named containers, called buckets. Buckets can be created through the command-line, using the API or the web console. Let’s create a new bucket, to store all files for our serverless application, using the web console. Open the ”Buckets” page from the COS management page. Click the ”Create Bucket” link. Create a bucket name. Bucket names must be unique across the entire platform, rather than just your account. Once the bucket has been created, you will be taken back to the bucket management page. We need to put some test files in our new bucket. Download the following images files. Using the bucket management page, upload these files to the new bucket. Having created a storage bucket containing test files, we can start to develop our serverless application. Let’s begin with a serverless function that returns a list of files within a bucket. Once this works, we will extend the application to support retrieving, removing and uploading files to a bucket. We can also show how to make objects publicly accessible and generate pre-signed URLs, allowing external clients to upload new content directly. Separate IBM Cloud Functions actions will be created for each storage operation. Serverless functions will need the bucket name, service endpoint and authentication parameters to access the object storage service. Configuration parameters will be bound to actions as default parameters. Packages can be used to share configuration values across multiple actions. Actions created within a package inherit all default parameters stored on that package. This removes the need to manually configure the same default parameters for each action. Let’s create a new package (serverless-files) for our serverless application. Update the package with default parameters for the bucket name (bucket) and service endpoint (cos_endpoint). Did you notice we didn’t provide authentication credentials as default parameters? Bind service credentials to the serverless-files package using the bx wsk service bind command. Credentials 'cloud-fns-key' from 'cloud-object-storage' service instance 'object-storage' bound to 'serverless-files'. Retrieve package details to check default parameters contain expected configuration values. Create a new file (action.js) with the following contents. This action retrieves the bucket name, service endpoint and authentication credentials from invocation parameters. Errors are returned if those parameters are missing. Create a new package action from this source file with the following command. The —main flag set the function name to call for each invocation. This defaults to main. Setting this to an explicit value allows us to use a single source file for multiple actions. Invoke the new action to verify it works. Let’s add another action for retrieving object contents from a bucket. Add a new function (retrieve) to the existing source file (action.js) with the following source code. Retrieving files needs a file name in addition to the bucket name. File contents needs encoding as a Base64 string to support returning in the JSON response returned by IBM Cloud Functions. Create an additional action from this updated source file with the following command. Invoke this action to test it works, passing the parameter name for the file to retrieve. 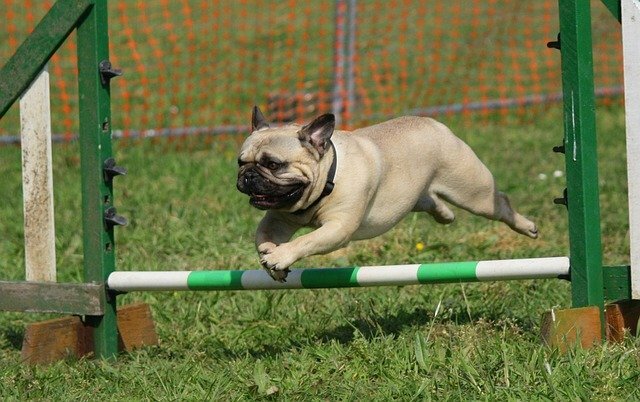 $ bx wsk action invoke serverless-files/retrieve-file -r -p name "jumping pug.jpg"
Let’s finish this section by adding a final action that removes objects from our bucket. Update the source file (actions.js) with this additional function. Create a new action (remove-file) from the updated source file. Test this new action using it to remove a file from the bucket. 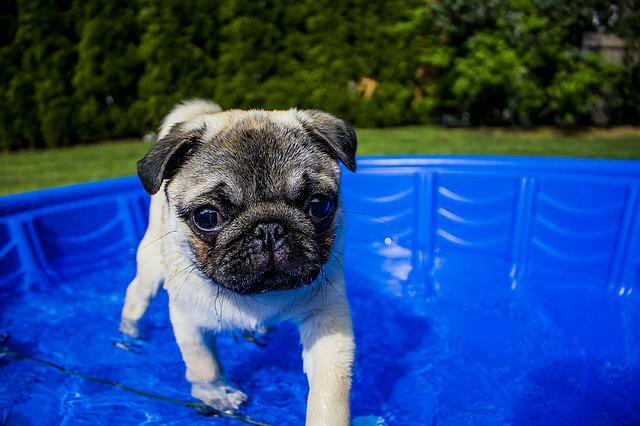 $ bx wsk action invoke serverless-files/remove-file -r -p name "jumping pug.jpg"
Listing bucket files should now return two files, rather than three. Listing, retrieving and removing files using the client library is relatively simple. Functions just need to call the correct method passing the bucket and object name. File content will be passed into our action as Base64 encoded strings. JSON does not support binary data. When creating new objects, we should set the MIME type. This is necessary for public access from web browsers, something we’ll be doing later on. Node.js libraries can calculate the correct MIME type value, rather than requiring this as an invocation parameter. Update the source file (action.js) with the following additional code. As this code uses an external NPM library, we need to create the action from a zip file containing source files and external dependencies. Create a package.json file with the following contents. Install external libraries in local environment. Bundle source file and dependencies into zip file. Create a new action from the zip file. Create the Base64-encoded string used to pass the new file’s content. Invoke the action with the file name and content as parameters. $ bx wsk action invoke serverless-files/upload-file -r -p body $(cat body.txt) -p name "flying pug.jpg"
Object details should be returned if the file was uploaded correctly. Accessing the object storage dashboard shows the new object in the bucket, with the correct file name and size. Users can also choose to make certain objects within a bucket public. Public objects can be retrieved, using the external HTTP API, without any further authentication. Public file access allows external clients to access files directly. It removes the need to invoke (and pay for) a serverless function to serve content. This is useful for serving static assets and media files. Objects have an explicit property (x-amz-acl) which controls access rights. Files default to having this value set as private, meaning all operations require authentication. Setting this value to public-read will enable GET operations without authentication. Files can be created with an explicit ACL property using credentials with the Writer or Manager role. Modifying ACL values for existing files is only supported using credentials with the Manager role. Add the following source code to the existing actions file (action.js). Create two new actions with the update source file. We have been using the following endpoint hostname: s3-api.us-geo.objectstorage.softlayer.net. Checking the status code returned when accessing an existing object confirms it defaults to private. Invoke the make-public action to allow GET requests without authentication. $ bx wsk action invoke serverless-files/make-public -r -p name "flying pug.jpg"
Retry file access using the external HTTP API. This time a 200 response is returned with the content. Having set an explicit content type for the file, opening this URL in a web browser will show the image. Disable public access using the other new action. bx wsk action invoke serverless-files/make-private -r -p name "flying pug.jpg"
Re-issue the curl request to the file location. Cloud Object Storage provides a mechanism (presigned URLs) to generate temporary links that allow clients to interact with buckets without further authentication. Passing these links to clients means they can access to private objects or upload new files to buckets. Presigned URLs expire after a configurable time period. Generating presigned URLs is only supported from HMAC authentication keys. HMAC service credentials must be manually provisioned, rather than using the bx wsk service bind command. See above for instructions on how to do this. Save provisioned HMAC keys into a file called credentials.json. Let’s create an action that returns presigned URLs, allowing users to upload files directly. Users will call the action with a new file name. Returned URLs will support an unauthenticated PUT request for the next five minutes. Update the package.json file with the following contents. Invoke the action to return a presigned URL for a new file. Using this URL we can upload a new image without providing authentication credentials. This curl command —upload-file will send a HTTP PUT, with image file as request body, to that URL. $ curl --upload-file "my pug.jpg" <URL> --header "Content-Type: image/jpeg"
The HTTP request must include the correct “Content-Type” header. Use the value provided when creating the presigned URL. If these values do not match, the request will be rejected. Presigned URLs are a brilliant feature of Cloud Object Storage. Allowing users to upload files directly overcomes the payload limit for cloud functions. It also reduces the cost for uploading files, removing the cloud functions’ invocation cost. Object storage services are the solution for managing files with serverless applications. IBM Cloud provides both a serverless runtime (IBM Cloud Functions) and an object storage service (IBM Cloud Object Store). In this blog post, we looked at how integrate these services to provide a file storage solution for serverless applications. We showed you how to provision new COS services, create and manage authentication credentials, access files using a client library and even allow external clients to interact directly with buckets. Sample serverless functions using the Node.js runtime were also provided. Do you have any questions, comments or issues about the content above? Please leave a comment below, find me on the openwhisk slack or send me a tweet.